DOG LOVER Gift ! 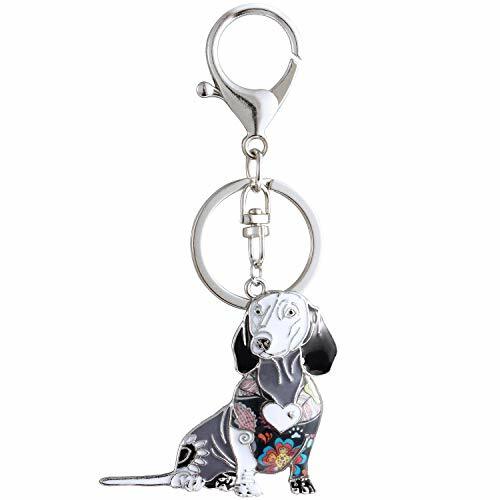 Luckeyui Dachshund keychain for everyday wear or that super special occasion. Also it is great gifts for lover, wife, girlfriend, dog lover, friends, mother. Celebration presents on Birthday, Christmas, Valentine's Day or Wedding anniversary. Dachshund Charm Accessories Weight: 0.6oz & Size Approx 2" x 1.8"